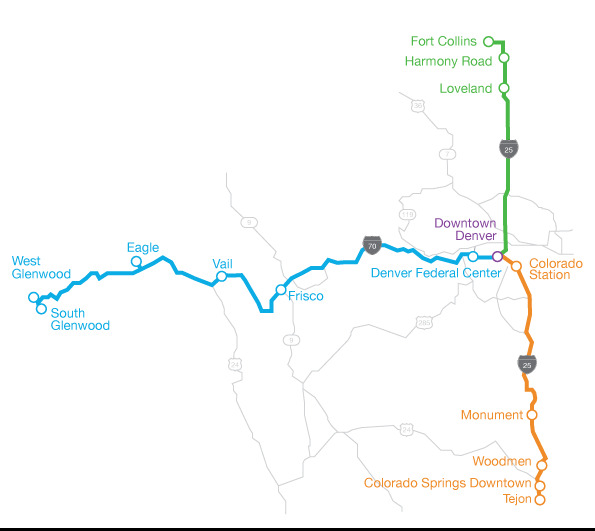 Bustang® is CDOT's interregional express bus service, connecting major populations, employment centers and local transit entities along the I-25 and I-70 corridors. With Bustang, commuting i as simple as saddling up to ride Colorado’s big purple bus. 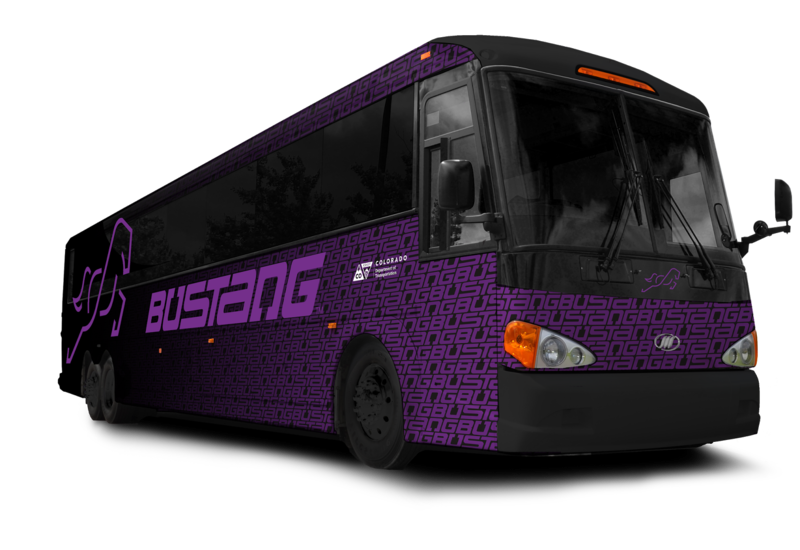 Visit the official Bustang website. East to west, north to south, Bustang carries commuters to and from Denver, Colorado Springs, Fort Collins, Glenwood Springs and more. This comfortable transportation alternative connects the major corridors in Colorado during peak commuter hours, Monday through Friday. See our map for more details. Hop aboard the affordable alternative to save money, reduce stress and spend less time sitting in traffic. Fare prices are based on routes and Park-N-Ride pick-up locations. We'll offer one-way and multi-trip discount tickets. Find advance and multi-trip ticket packages. Disabled persons and seniors 65 and older receive a 25 percent discount. How many buses are in operation? How do you reserve seats or cancel your booking? Find answers to these and many more questions on the Bustang FAQ page.